Temperamental, immature and inclined to swear at will – three qualities you won’t find in any school authority worth their salt. And yet, today’s new trailer for HBO’s Vice Principals sheds light on an all-consuming power struggle between Danny McBride and Walton Goggins’ warring administrators that breaks just about every rule in the book. Running for 18 episodes across two seasons, today’s all-new trailer doubles down on that core rivalry between McBride and Goggins, with the former’s unhinged rage wonderfully juxtaposed with the latter’s general aloofness. Also starring Georgia King, Busy Philipps, Kimberly Hebert Gregory, Sheaun McKinney and Shea Whigham, Vice Principals very much revolves around that old-fashioned showdown, and when the principal race begins to reach its tense climax, it’s “every motherf**ker for himself.” The gloves are off, it seems. 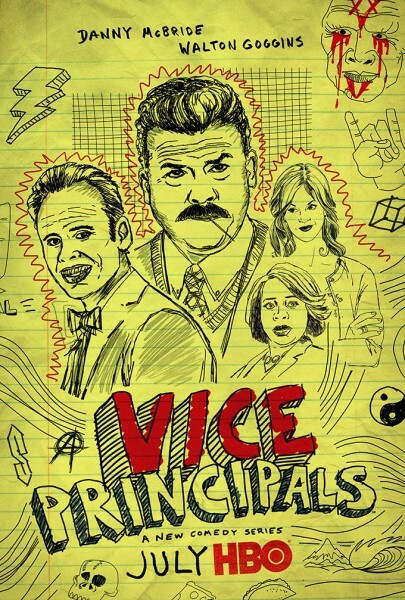 Look for Vice Principals to premiere via HBO on July 17. In related news, the network recently handed out renewals for three of its most-popular series: Game of Thrones, Veep and Silicon Valley.